of professional dance. The syllabus is so comprehensive. After the accomplishment of passing all of the student grades I felt that I was in possession of a vast dance vocabulary. That aspect certainly served me well as I was called upon to learn various styles of choreography as a professional dancer. One of my most salient memories of the Cecchetti syllabus was the demanding adage work. It required such stamina and strength. Practicing those adages for exams instilled a lot of discipline. When I got into a dance company I realized how much I would practice sections of choreography over and over again, and I know this was a direct result of my Cecchetti training. For me, the “icing on the cake” was the approach used by my Cecchetti teacher, Sylvia Hamer. She was an extremely elegant woman, and all of the steps she showed us were colored by this extraordinary elegance. Throughout my career people often remarked on my discipline and said that I had an elegant bearing. I believe the Cecchetti experience and Mrs. Hamer helped me to achieve the qualities that led to a successful career in ballet. Ms. Tabor began her classical ballet training in the Cecchetti method with Sylvia Hamer in Ann Arbor, Michigan. Upon graduation from high school, she moved to Canada to study on scholarship at the School of Royal Winnipeg Ballet, and subsequently danced with the company. From Winnipeg, Lynn moved to Montreal to dance with Les Grands Ballets Canadiens and from there, to Cleveland to dance with the Cleveland Ballet. She performed soloist roles in ballets by many well known choreographers including George Balanchine, Leonid Massine, Dennis Nahat and Agnes de Mille. Lynn has been guest teacher and choreographer for the Cecchetti Council of America’s international summer conference since 1995. In August 1997 she taught a choreographic workshop for the Edinburgh International Festival in Edinburgh, Scotland. 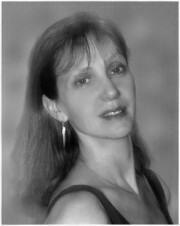 Lynn has been on the faculty of Ballet Arts Center in Long Beach, California, New Jersey Ballet School, School of Cleveland San Jose Ballet, and Cleveland State University dance program. She was director of the Dance Department at the Cleveland Music School Settlement for five years until June 2003 when she relocated to Portland Oregon. She is currently associate artistic director of Pacific Festival Ballet.